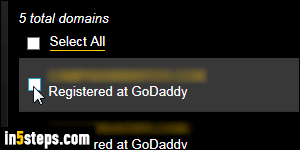 By default, all domains you register with GoDaddy show your contact information in the global whois database. But you can purchase domains with privacy protection (or "private registration"), where your contact information is hidden from the public, and can only be revealed by court order (or hacking). The private registration ("Domain By Proxy, LLC") automatically renews with your domain unless you manually turn it off before the auto-renewal date. To discontinue private protection for one of your domains, log into your GoDaddy account: after you've signed in, click on the green Manage button on the right of Domains. From anywhere else on the site, click on your first name in the top right corner of the page, and pick Visit my account in the menu. 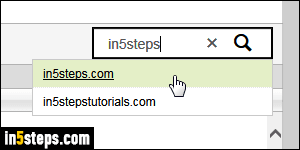 All your domains are sorted alphabetically: click on any header to sort the list by that particular value (Domain Name, Expires, Status, Nameservers, Auto-Renew, Privacy). Click on that same column header a second time to reverse the sort order. To quickly find a domain, type the start of the domain name in the search box at the top, and select the match from the real-time results. The auto-renewal column shows a checkmark for each domain set to renew automatically; the next column on the right shows a checkmark for each domain that currently has private registration enabled. 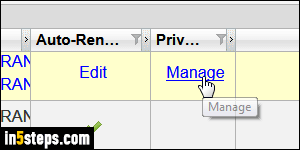 Mouse over the domain's row, and click on the "Manage" link that appears under the Privacy column. A popup will open to the Domain by Proxy website: log into your account - note that this username and password are completely separate from your GoDaddy login username (you'll have a different customer number). 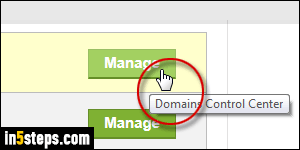 To cancel domain by proxy (DBP) for a particular site, check its checkbox and click on the Cancel Selected button at the bottom. This only affects the privacy protection option for your domain, it doesn't affect the domain itself in your GoDaddy account.